There’s no doubt that regular vacuuming to lift out all the dust and grime is the best way to preserve the look of your new carpet and extend its lifetime. Use a good quality upright vacuum cleaner with a brush bar roller for cut pile carpets, and a cylinder cleaner with a suction head for loop pile carpets to minimise the chance of pilling. Even if your carpet has been regularly vacuumed and spillages have been quickly tackled, airborne pollutants will ultimately leave a thin grimy film over any carpet. This natural soiling builds up over time and is best removed by a professional carpet cleaner using the most appropriate equipment and solutions. 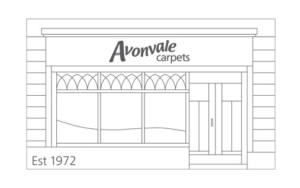 If you’d like us to recommend a professional carpet cleaner or want more specific advice on caring for your carpet supplied and fitted by Avonvale Carpets, pop into the shop, or call us today on 01225 427 057.